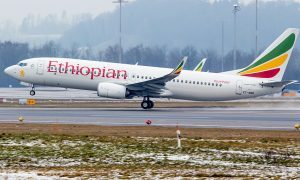 Ethiopian Airlines has announced that it has ended yet another year of fast and profitable growth in 2016, highlighted by fleet and network expansion as well as significant investment in customer services in the air and on the ground. “2016 has been an exceptionally challenging year for the African Aviation industry. Commodity exporting countries in general and oil-exporting African countries in particular have been hit hard by the global decline in commodity prices. As a result, demand for air travel has been suppressed and the shortage of foreign exchange has severely affected the financial performance of airlines in the continent. Yet, at Ethiopian, we are very proud of the new heights Ethiopian has flown in the year: we celebrated our 70th anniversary, inaugurated the largest and the finest Aviation Academy in Africa and a state-of-the-art In-flight Catering facility which is the largest in the continent of Africa, introduced Africa’s first Ethiopian Airbus A350, and spread our wings to more countries on 5 continents. Ethiopian has increased its fleet by 8 aircraft in 2016 and has closed the year with 82 airplanes in service. For the first time in its history, Ethiopian has diversified to include Airbus aircraft with Africa’s first A350. 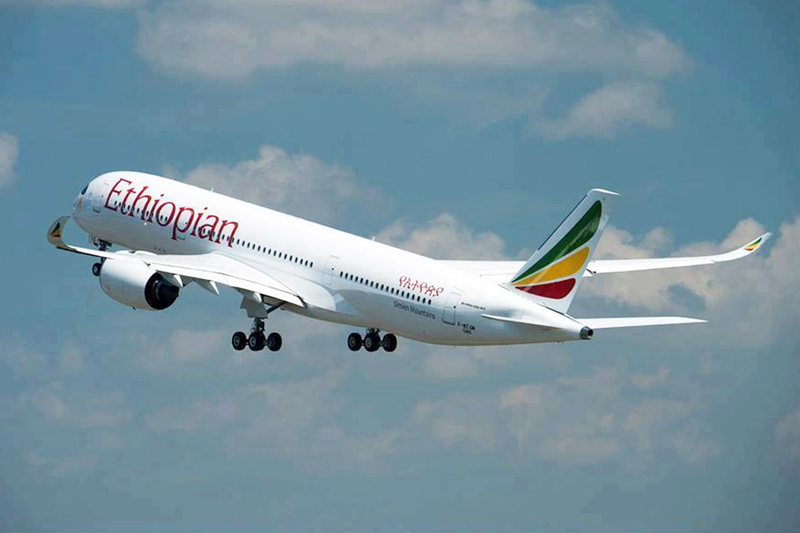 With an average fleet age of just five years, Ethiopian has one of the youngest and most modern fleet in the world. Ethiopian has heavily invested in the two most technologically advanced fleet of our time; the B787 Dream Liner and the A350. With high performance, less carbon emission, advanced cabin features, and superior customer comfort, these airplanes are game changers in today’s civil aviation industry. 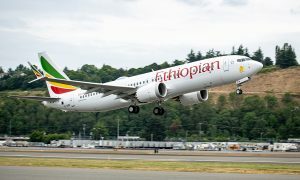 Living its motto of Bringing Africa Together and Closer to the World, Ethiopian has continued to connect the African continent with its major trading cities and markets. With connections as short as 30 minutes at our Addis Ababa hub airport, we offer the fastest travel time between Africa and the rest of the world for our customers. Both through our main hub in Addis and our regional hubs in Lomé (Togo) and Lilongwe (Malawi), we are connecting African brothers and sisters scale up tourism, trade and investment with in the continent. In 2016 we launched new international flights to the Comoros Islands, Windhoek, and Newark and domestic routes to Hawassa, Kebridahar and Dembidolo. Ethiopian Cargo Services has also remained to be the largest cargo airline in Africa. 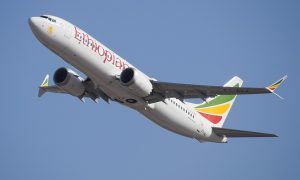 Ethiopian has built largest and the latest Aviation Academy in Africa, with an investment of USD 100 million. 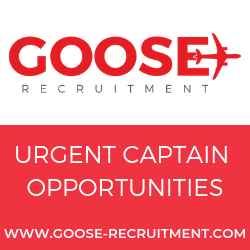 The Academy has the best aviation training technology that an airline academy can offer; full range of fleet cabin emergency, evacuation and door trainers fitted with a high standard swimming pool for cabin crew ditching exercises and more than 20 pilot training aircraft, Class Rooms, Student Cafeteria, Auditorium Hall, Student dormitory, Green compound with space for outdoor sports. The New Cargo Terminal, 82% complete, is expected to be operational towards April 2017, which will have an annual storage (for both dry and perishable goods) of 1.2 million tons and a capacity to handle eight B747-800 freighters at a time. Construction of the first phase only will cost approximately US$ 150 million. Upon completion, our uplifting capability will be equivalent to the cargo terminals at Amsterdam Schiphol, Singapore Changi or Hong Kong. Catering: Ethiopian has inaugurated the largest Catering Facility in Africa, with a capacity more than all hotels in the city combined: 100,000 meals per day. It will soon commence third-party service and generate revenue to continue as an independent profit center. Maintenance Hangar: The newly built wide body maintenance hangar is now 97% completed. The hangar has two bays equipped with latest technologies; a full Paint hangar, and Maintenance hangar. The facility is capable of accommodating 2-B747-800 (the biggest Boeing airplane) at a time or more other type of aircraft in different arrangements. Simulator: Ethiopian has constructed a state-of–art flight simulator building and installed five of the latest full flight simulators (FFS). This includes; the Boeing 787, 777, 757, 767, 737NG and the Bombardier Q400. Likewise, we are on our way to have full flight simulators for A350XWB and Boeing B737 MAX aircrafts. Corporate Social Responsibility: During the 2016 Ethiopian has partnered with significant number of local and international organization to discharge its corporate Social responsibility. To mention a few: Free Shipment of Medicine by Airlink USA, Shipment of Colonel John Charles Robinson’s Sculpture, humanitarian shipment for UNICEF Ethiopia and free ticket grants to support medical travelers abroad.